I am really trying hard to be mindful and meditate - I don't mean crunching extra hard on my bran flakes or noticing the green grass or yellow car. I mean proper sitting, back straight, eyes closed, slow steady breathing for 5-10 minutes in the middle of the afternoon or just before I leave for work in the morning. This morning I got to work 15 minutes early and instead of scrolling through Instagram, which is a great way to kill time, I found a bench and sat very still for 10 minutes. It was SO hard to begin with - but by the end I didn't want to open my eyes. I noticed everything about the rest of my morning seem calmer and clearer. 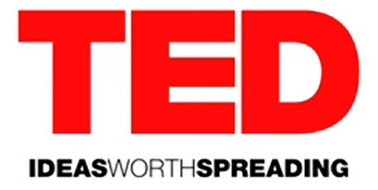 Instead of listening to the same old playlist every morning as I trundle to work, I now try and listen to a TED talk. Most are better to watch because of the added visuals but you get the gist of many of them if you tune into the audio clip. This morning, I listened to Pico Iyer on the art of stillness and found it really profound. I want to go on a retreat where there is no "outside" distractions - no phone, TV, twitter, email.... I found a 10 day one but that seemed very intense / jumping in at the deep end. If anyone knows of a gentle 2-3 day one, please let me know !